So, we all know how “rigorously” we’re over here getting ready for our home birth. I’m especially trying to make sure all the bases are covered because the kids will be home and we’ve moved kinda far from family so there won’t be any “helping hands” around. Anywho, if you’ve ever endured the HOURS long experience that is childbirth, you know that keeping your energy up is KEY! Not just for mama but everyone else involved too. 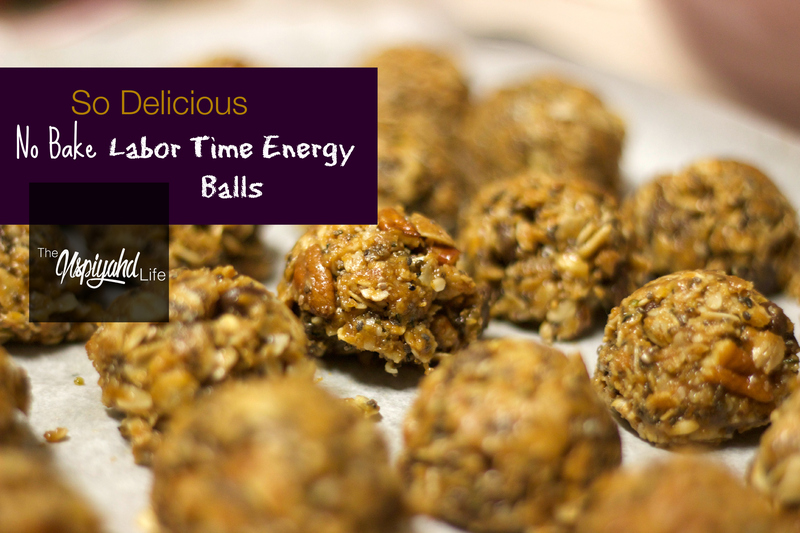 So I worked up this energy ball recipe-thinking it’d be an OK little snack that we can munch on during our labor and LET ME TELL YOU….They may be gone before labor even gets here! Good thing they’re so quick and easy to make because I can throw another batch together in no time! So here’s the super awesome recipe I came up with. I used organic peanut butter made by a store that rhymes with “Flosco” and lets just say its TOTALLY sugar free…so I went a little bit HAM on the sweeteners by adding honey AND organic maple syrup.. But if you’re using a good brand of peanut butter, you can nix some of the sweet stuff. These are also packed with “superfoods” so the chocolate chip addition won’t hurt you at all? ••••Sidenote: None of these ingredients are “for labor use only” so feel free to whip these up anytime and keep them around as a snack! Freeze or Refridgerate for about an hour. Scoop into balls and bag ’em. *I got distracted and left my dough out on the counter AFTER taking the time to refrigerate it. To fix the sticky mess, I scooped it onto a lined cookie sheet and froze it again THEN bagged it. 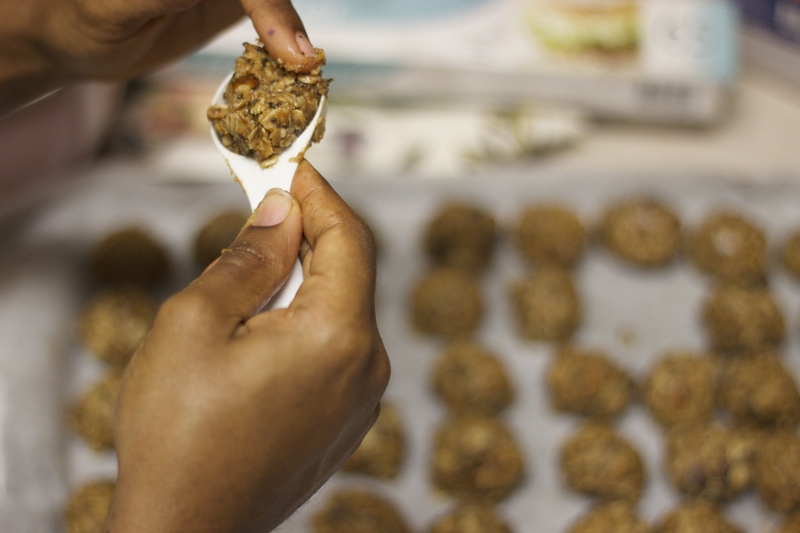 This recipe made about 50 Tbsp sized balls!